The Rosehip anti-aging facial serum is a highly intense formula,the best skin care product and is a workhorse,like a moisturizer, but does more than just cleansing, toning and moisturizing. The all natural serum is specially designed using Rosehip seed oil and other essential oils such as Apricot Kernel Oil, Carrot seed oil, Sandalwood oil, and Rosemary oil that are bunched together shoulder to shoulder to improve the skin tone that also help nourish skin, reduces wrinkles, and rejuvenates skin. Not to mention, it relieves you from the uncomfortable itchiness or inflammation. The powerful rejuvenating, all natural face serum easily gains access to the depth of your skin to combat other defects such as dark spots and discoloration. It nurtures your skin with essential vitamins and minerals that helps the face glow and eyes sparkle.With its cellular-aging control properties,the face serum reduces the appearance of expression lines and wrinkles and gives a firmer,smoother,more elastic and younger looking complexion. 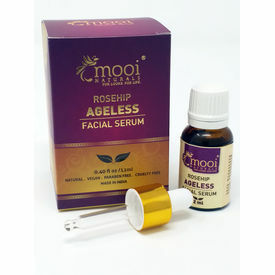 The Rosehip anti-aging facial serum is a highly intense formula,the best skin care product and is a workhorse,like a moisturizer, but does more than just cleansing, toning and moisturizing. 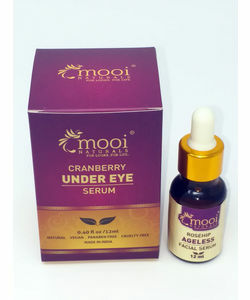 The all natural serum is specially designed using Rosehip seed oil and other essential oils such as Apricot Kernel Oil, Carrot seed oil, Sandalwood oil, and Rosemary oil that are bunched together shoulder to shoulder to improve the skin tone that also help nourish skin, reduces wrinkles, and rejuvenates skin. Not to mention, it relieves you from the uncomfortable itchiness or inflammation. The powerful rejuvenating, all natural face serum easily gains access to the depth of your skin to combat other defects such as dark spots and discoloration. It nurtures your skin with essential vitamins and minerals that helps the face glow and eyes sparkle.With its cellular-aging control properties,the face serum reduces the appearance of expression lines and wrinkles and gives a firmer,smoother,more elastic and younger looking complexion. Disclaimer : Always recommend to do a patch test for compatibility prior to using any new products. All of Mooi Naturals products are vegan and cruelty free and do not contain either synthetic ingredients or ingredients of animal origin. Prunus Armeniaca (Apricot) Kernel Oil Rich in omega-6 gamma-linolenic acid, Apricot Kernel oil helps to hydrate and nourish skin while vitamins A and E contained in the oil encourage regeneration of skin cells and collagen production to help reduce fine lines and wrinkles. Rosa Canina (Rosehip) Seed Oil RoseHip Seed Oil has excellent nourishing and skin healing properties. An excellent ingredient to prevent and cure premature aging of the skin. 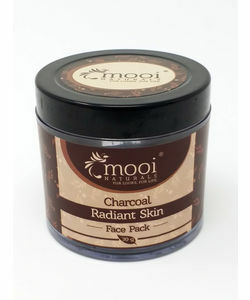 This oil helps in the reduction of pigmentation and keeps the skin healthy. Santalum Album (Sandalwood) Essential Oil The Aromatic wood oil Prevents Skin Aging and also gets a Bright,Clean and Flawless skin. Pelargonium Graveolens (Geranium)Essential Oil The fragrant flowery scented Geranium oil has natural astringent properties that tighten skin, lessening the appearance of pores, regulating sebum, and toning and firming the skin. The antioxidant and anti-microbial properties of geranium plant helps keep the skin young,clean and clear of damage. Botswellia Carterii (Frankincense) Essential Oil With anti-inflammatory and anti-microbial properties, Frankincense is critical in preventing and treating aging skin. The oil tightens and firms sagging skin, minimizes the appearance of scars,age spots as well as balances the skin’s pH. Commiphora Myrrha (Myrrh) Essential Oil Myrrh has been proven to heal wounds and is packed with antioxidants, which help to reverse aging caused by free radical damage. Rosmarinus Officinalis (Rosemary) Essential Oil Rosemary essential oil rehydrates and tones your skin.The Oil removes wrinkles and bags on the skin, thus making it firmer and more elastic. I used this product for my aunt, who had premature wrinkling. After using it for about a month, we can see a clear difference in face with many wrinkles and fine lines got reduced and skin became more supple.